I have been seeing this challenge from the outside for a while, but now i would like to participate to have some fun. 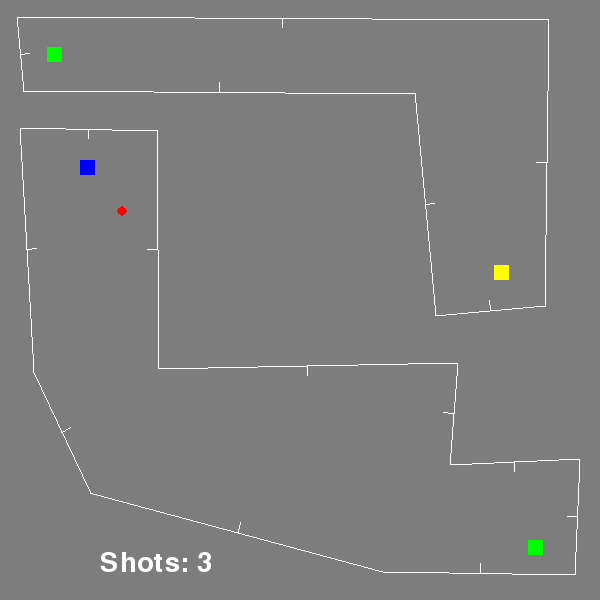 This is my game, the little red dot is the player and the objective is to reach the yellow square, but you are surronded by walls, as you can see in the image is impossible to reach the goal, but there is a way, you can turn off the light with the green square and this will change the the walls surronding you, the problem is that with the light off you can't see any thing, but don't worry you have a very special object that let you shot visible balls around you and this balls will bounce with the wall, showing you the way to the goal, but be careful you only have three shots, of course you can recharge with the blue square. The week is over and I managed to upload the game, however I feel it is not over yet. If you decide to play my game you may feel a little confused, since the game does a bad job explaining what to do, so you will have to read the 'Readme.txt' to understand what to do, on the other hand it does not have many levels so the game is more to demonstrate the concept, which in my opinion was very interesting and I hope you feel the same, i have to add more to be able to call it a game. 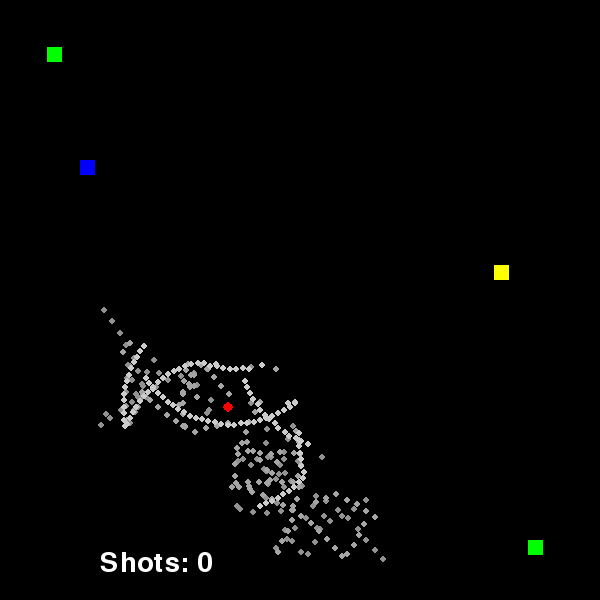 Things I thought about adding: different types of shots, which are differentiated in the time of dissipation and color, enemies, graphics, levels, music and sound, but that will be for another occasion.